You DO know that whole “Freedom of Speech” thing isn’t just limited to only aggrieved community agitators. After recently engaging in security theater on a grand-scale, I didn’t really have a whole lot of respect for what passes law enforcement here in Michigan. My thoughts on that issue echo those Benjamin Franklin made over two centuries ago. And then they(/she) doubles-down on bad decision making. Yes, this is becoming disappointing. 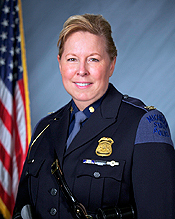 Obviously, I’m referring to the recent kerfuffle involving MSP Col. Kriste Etue and her wading into the “controversy” involving the misdirected “protests” (can they really be described as a “protest”?) by the prima donnas in professional sports. Be careful of what you post, you might offend the snowflakes! Now before some of my fellow Conservatives think that I have gone over to the dark side, nothing could be further from the truth. Her original Facebook repost (apparently now pulled) was spot-on. Anybody have a problem with this? After that declaration, the very same aggrieved community organizers are probably now about ready to whip out their flaming crayolas and begin to take aim at this site for even having the gall to post this (and not immediately take it down along with promptly issuing a very sincere apology). Let me get everyone up to speed here before I go any further. 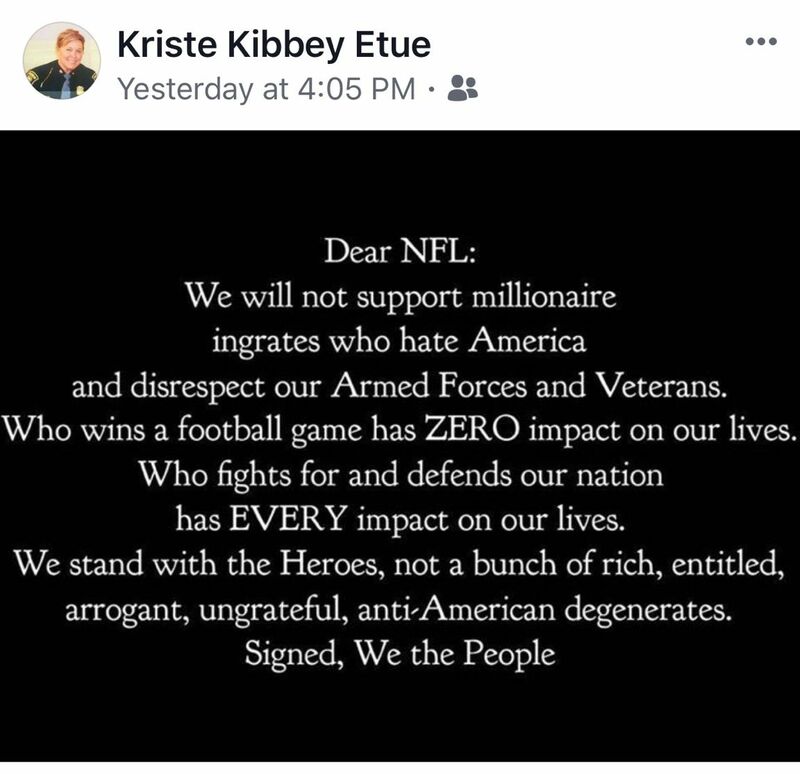 Several days ago Michigan State Police Col Kristie Etue reposted something on her Facebook page regarding the “protest” by various players on sports teams over the, um, well I’m not exactly sure what it is they’re protesting about. If you go with what the higher end models in the race-hustler crowd are saying, they are allegedly protesting the violence in the black community by law enforcement, by getting on their knees during the National Anthem. No, I don’t get it either. If anyone can make heads or tails of this nonsense, please comment below. So the usual Rogue’s Gallery of race hustlers becomes aware of the post from Col. Etue and goes totally apoplectic at its message. Groups like the ACLU, Progress Michigan and Detroit Coalition Against Police Brutality immediately call for her scalp so that it can make a fine addition to their trophy wall. This is around the time of Monday’s dog-and-pony show where NFL teams either got on their knees, linked arms, or just didn’t bother showing up on the field (with one very notable exception) when our National Anthem was being played. And then it spilled over into the Michigan Legislature this week. Race-hustlers in the Michigan Legislative Black Caucus (along with some Michigan democrats) took to the floor of the Capitol to protest someone protesting their protesting. Now, let THAT one sink in for a moment! If anyone wants to know why the communities they represent have failed (i.e. Detroit, Pontiac, Flint, etc. ), one need look no further than the comments made above. First of all, they are in NO POSITION to demand anything. The First Amendment applies only to the government, not to a private business. So unless they want to claim that the NFL has somehow been nationalized, that argument alone doesn’t hold any weight whatsoever. Second, if they want a textbook example of who is really out of touch, then they should look no further than the nearest mirror. Most people don’t know that the MSP had stepped up patrols in Detroit for some time now given the failed nature of that city government to provide basic services, like police protection. Unfortunately, the MSP recently announced that they will be dialing back that presence in Detroit due to backlash from “community leaders”. Oh, and did I mention that Detroit’s crime stats are heading north again? I’ll be eagerly awaiting the MLBC’s position piece on that. I don’t know how many readers listen to Larry Elder at night, but he’s been railing against the naiveté, ignorance and hypocrisy of these so-called community leaders (like those in the Michigan Legislative Black Caucus) for some time now. How can you miss this? Is this thing on??? Driving that point home even further, here’s a website that I picked up from my travels around the Midwest. This one contains the most up-to-date stats on the war zone known as Chicago. It also contains a very eye-opening breakdown of the race of the victim and their assailants (if known…another troubling detail the MLBC and those who think like them won’t touch). Enough somber facts, let me get back to Michigan and finish up this post. 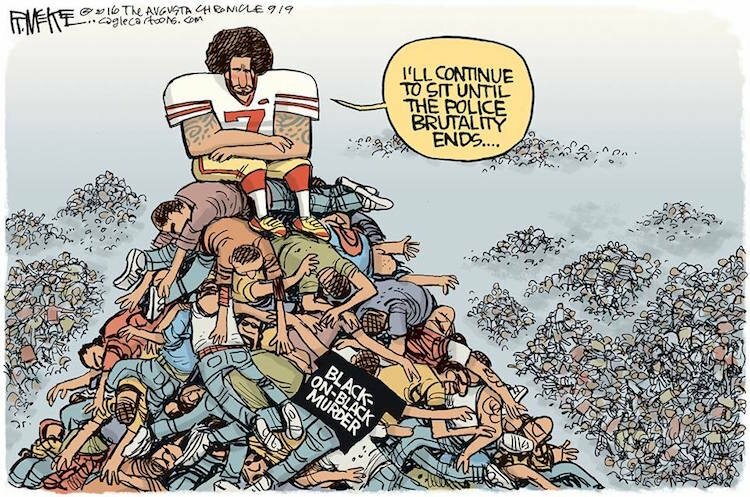 So dealing with the incessant complaints from the race-hustling community, this left Gov. 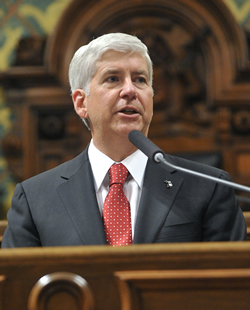 Snyder with the challenge on what to do with his appointee. “The colonel said she made a mistake and publicly apologized. On Tuesday (after I strongly suspect a “Come-to-Jesus” meeting with Gov Snyder to dial back on the heat generated from all of this), Col. Etue waded into the matter again by issuing an apology and posting the same on her Facebook Page. My takeaway on this: If you’re going to re-post something, you better have a good reason to back away from it. Facing a chorus of ignorant whining adults who should know better isn’t one of them. I’m actually not surprised in the actions of Gov. Snyder. Deflecting and hiding behind his PR people is one of the things that he’s well-known for. In fact, I would’ve honestly been surprised if he were to not only deny their “demand”, but to schedule a news conference where he can personally support his appointee and to poke so many holes in their argument that it’ll crash and burn faster than the Hindenburg. But, I am a little disappointed in Col. Etue. I know a few cops (local PD & deputies in several states). You don’t get to rise through the ranks if you act like a spineless jellyfish when confronted by others. The actual reposting she did several days ago pretty much tells everyone where she really stands on this issue. It is very sad and disappointing to see politics trumping integrity in this situation. The ONLY mistake Etue made was apologizing. Has Trump not taught her anything?? ?